his postgraduate diploma in business in Cultural Event Management (Level 9 – 60 credits) addresses the specific needs of the Cultural and Creative industries. The business modules are contextualised to the cultural sector and you will develop core business skills in event management. Entry Requirements Undergraduate qualification of 2nd Class Honours or higher at Honours Degree level.Applicants may be considered provided they can demonstrate Honours Degree equivalence which can be verified through the RPL (recognition of prior learning) process.Shortlisted applicants may be called for interview.Two references must also support your application. Carear Path Work as a cultural event manager in a variety of arts organisation or in the festival sector- Work with an event management company providing services to a wide range of clients- Be a freelance manager/cultural entrepreneur or a specialist manager within the cultural industries (e.g. music promoter)- Continue your studies to Masters and/or PhD level in Ireland or abroad. 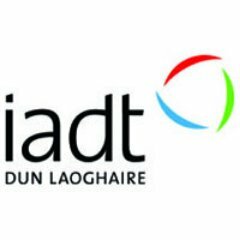 For information about IADT Dún Laoghaire Institute of Art Design & Technology, please visit our College Profile page on Postgrad.ie by clicking here.